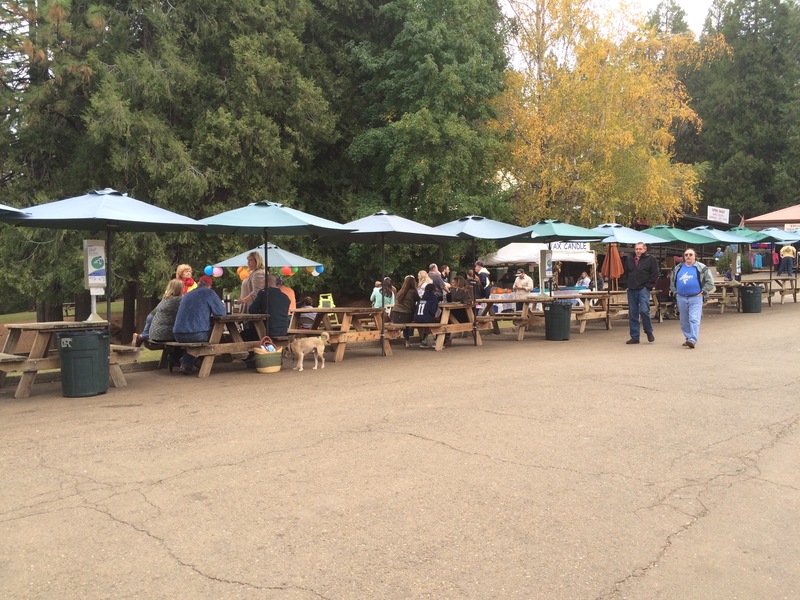 Apple Hill is an institution in Northern California. My relatives are from the area so I went to Apple Hill religiously growing up. So, as soon as the weather starts to turn, my mind immediately goes to a visit to Apple Hill for Apple Donuts and Apple Cider. While things keep changing one things remains the same. Folks, may I introduce you to the one the only, Apple Donut. Enjoy warm fresh out of the oven or cool on your day drive to leaf peep. Whatever your preference ensure you stop in for a spell. Is it just me or is this an insane amount of donuts? This cracks me up to think about. But, I actually have two previous posts about donuts. 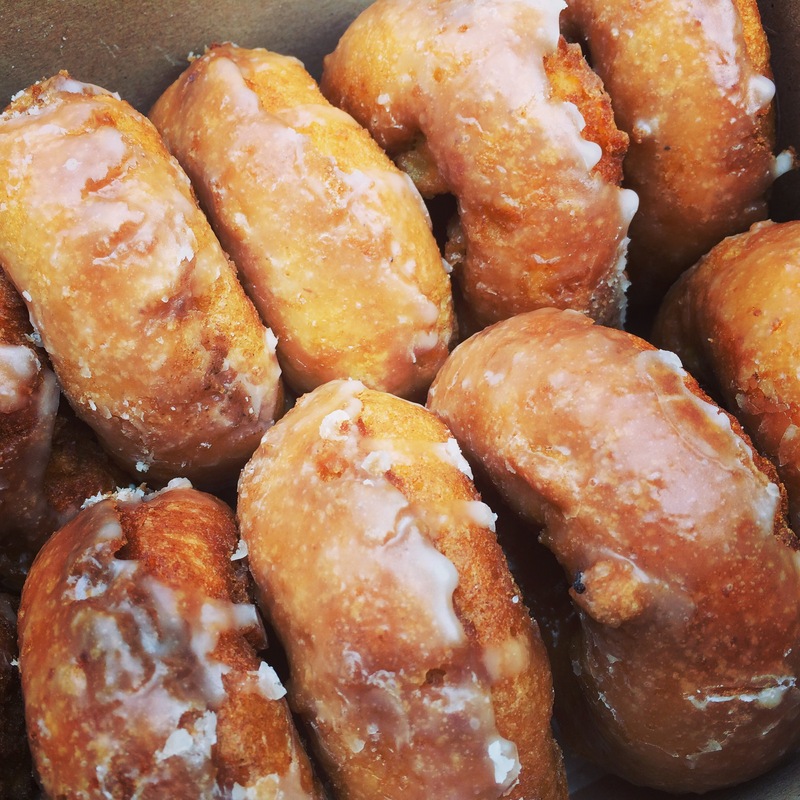 Click here to see posts on Voodoo Donut in Portland and Maui Donuts! I’m going on a diet! Oh man, I would love a donut right now! Apple donuts and Apple cider sound incredible! I definitely wish I could take a trip to Apple Hill. This sounds like the perfect fall date idea! People go up there all the time for that. They get married up there. Engagement photos. Photos with their kids. It’s pretty and quaint. And it’s getting cold! 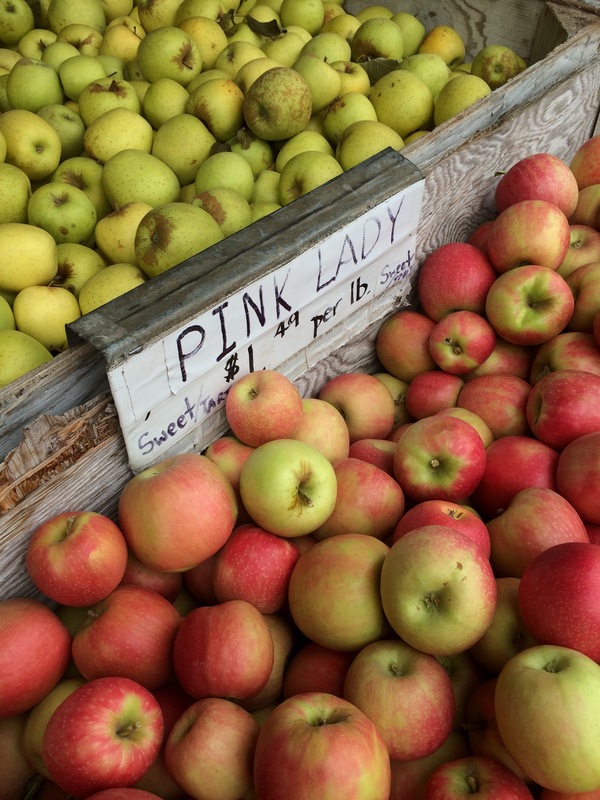 I love Pink Lady apples but I am completely in love with those delicious looking donuts!! They are great. Wish I had some now. Those donuts look as though could do a lot of health damage. 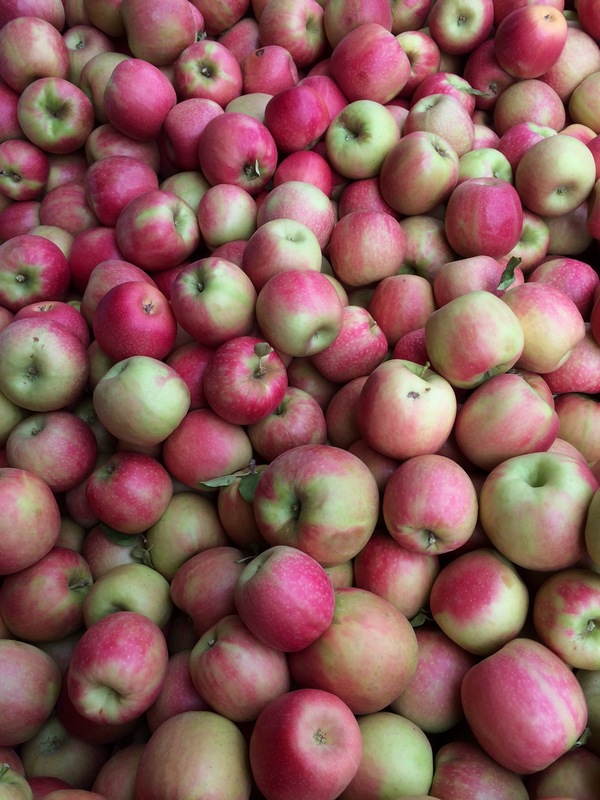 Pink Lady apples have become very popular in UK. Definitely. I just get them once a year! Love all the apple pictures. Also would really really love one of those donuts, they look super good. I’ve never thought about apples as creating a destination location even though I grew up in one. 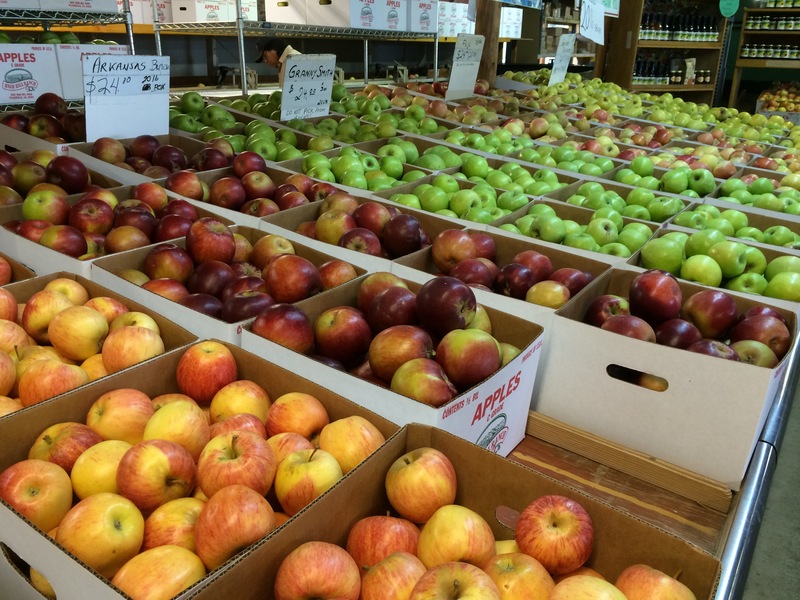 People would drive from New York city to western Connecticut to get their apples and cider. 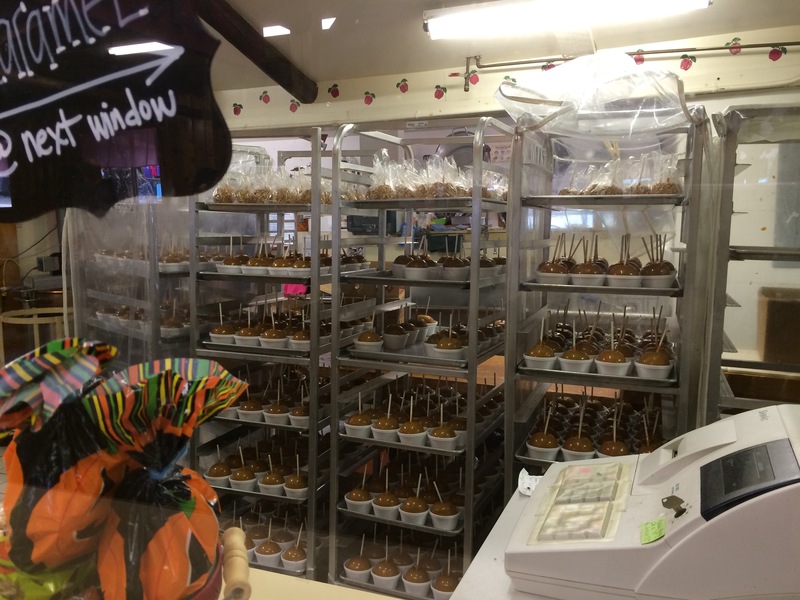 In San Diego, I would always stop in Julian to get apples on the way back from the desert. I suppose it’s an alternative to have a fruit or veg festival, right? Asparagus, pear, garlic… Most of the ranches strayed as stands on the property and grew from there. It’s often too busy for me so we try to hit it early in the morning. After fighting sunburn, drought and coddling moth on our apples, I appreciate a large unblemished Apple. Julian was the same; a zoo by early afternoon. No kidding, and you can usually buy a box for cheep! Thanks, the apples were fun! Now apple cider… you must taste breton cider. With all this talk about food, understandable. Thanks! I sure hope he does. I remind him all the time. 😉 You have a great sense of humor too. I love your comments. No I havent but I am intrigued. Yes, give me the web address so I can at least give them a like and tell them that their donuts were recommended through a blog via another country (Mexico presently, right?) all the way to the west coast. It’s a short story you might like. Potato flour huh? Cross between a potato French fry and a donut. How could that be wrong? i’m trying to picture a french fry twisted into a circle. I just can’t imagine having ketchup with a donut. 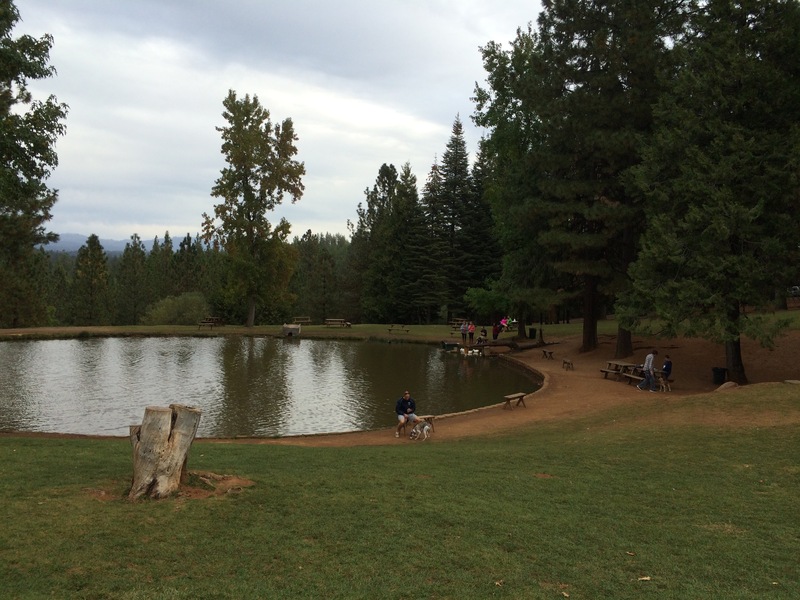 What a lovely place to hang out & eat apples, apple donughts & apple caramels! Woehoe!!! 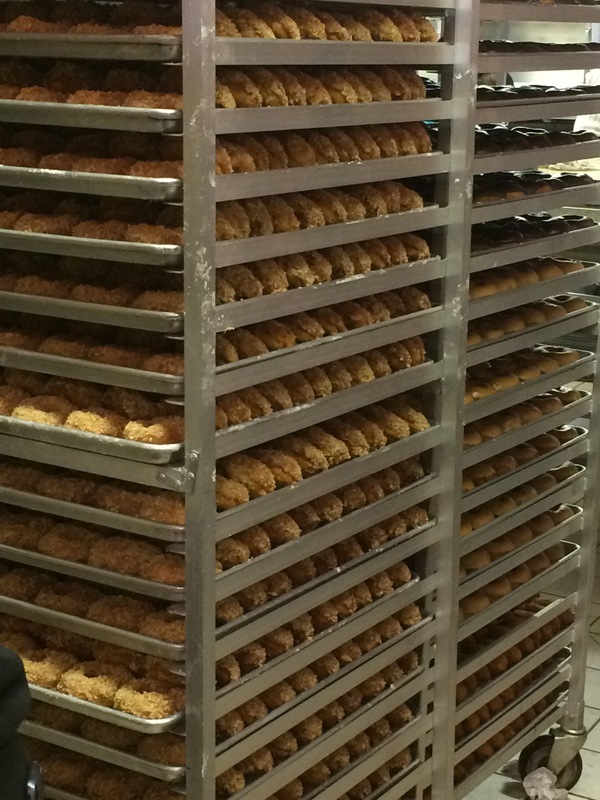 So… Many… Doughnuts! This looks like my kinda place! 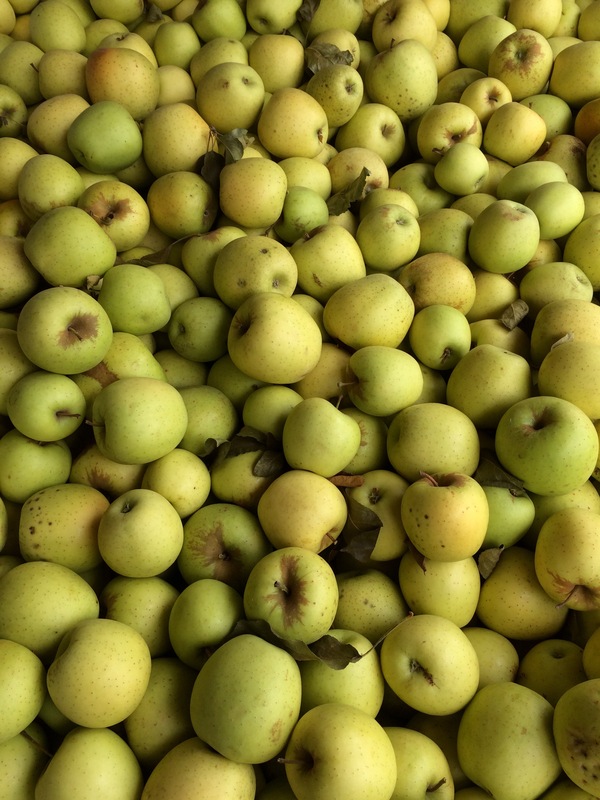 Lovely to see all the boxes of apples, too – in Ireland, most of our locally-grown ones are commandeered by Bulmers to make cider (the alcoholic kind) so pretty much all our eating apples are imported! Really!? Do you see many people with apple trees on their farms at least?